It will do you a HUGE favor. When the time has come to install a new toilet, you’re confronted with a pretty difficult decision: To get a dual-flush toilet, or to not? 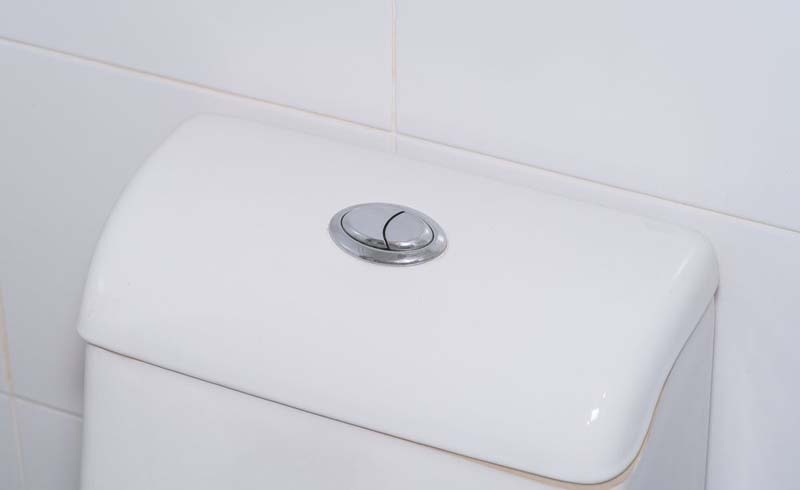 Since their inception in 1980, dual-flush toilets were made to reduce the amount of water flushed during use. They feature two different buttons to perform two different kinds of flushes. The difference in buttons depends on the waste in the toilet. One button for liquid waste, another for solid waste. According to studies, this system can help save up to 67 percent of water used to flush, and in return, saves you money. Sounds like a perfectly good reason to say yes to that dual-flush toilet. How does the dual-flush toilet work? Standard toilets use a siphoning tube to get rid of the waste. When flushed, the water that flushes will fill the siphon tube and push the waste and water down the drain. Once air enters the tube, that siphoning action should stop (which is why you should always flush with the toilet lid down). 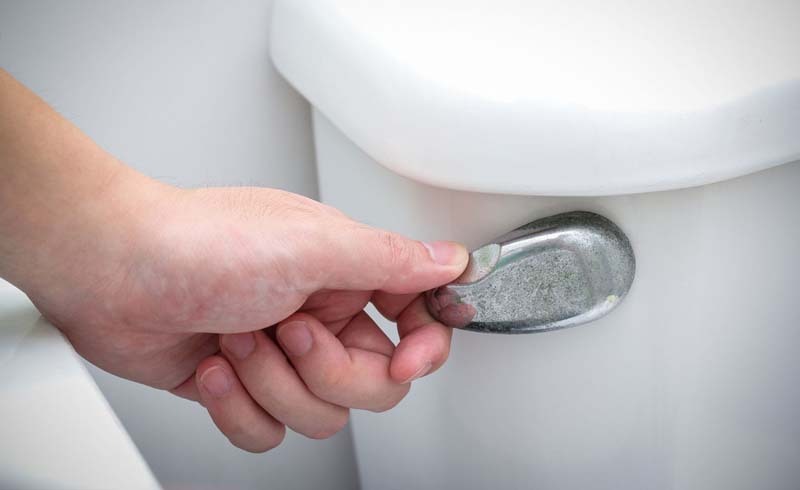 Dual-flush toilets actually don’t use the siphoning tube but use a larger trap way to get rid of the waste. Instead of relying on siphoning, it depends on gravity to push down the water and waste naturally. This ultimately means using less water for every flush, including both the half- and full-flush buttons. Again, dual-flush toilets save around 67 percent of water used compared to regular toilets. Right now, older toilet models typically use 3.5 gallons per flush (gpf). Some models even using as much as 7 gpf. Right now, the industry standard is 1.6 gpf, which is still a significant decrease. Depending on where you live, 1,000 gallons used could range anywhere between $2 to $3 in charges. Since the average person will flush 20.1 gallons of water per day, this can add up pretty quickly for one toilet. Especially if your toilet is using more than the current industry standard. Dual-flush toilets use even less than the average, around 1.28 gpf, when averaging the full flush and the half flush combined. Typically the solid waste button will perform a regular flush (1.6 gallons) and the liquid waste will only use half the amount of water (0.8 gallons). Now this isn’t a huge money discrepancy, but between the money you are saving and the amount of water you are conserving, it can make a huge difference for your landscape and your wallet.